Luxurious furniture and home accents by MAC-Bruzae have been exported worldwide since three decades and are now also within your reach. MAC- Bruzae has been exporting high-end furniture to several prominent brands across the world since its inception in 1987. Their products reflect sophistication and class and are utility driven. The company began to also focus on the Indian market about a decade ago and offers its clients a wide range of services including interior consultancy, ready-to-pick as well as custom designed furniture, statement lighting and accessories, wall art, rugs and many stylish furnishing add-ons. 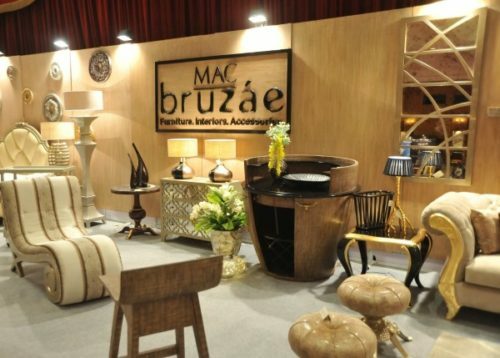 MAC-Bruzae participated in the recently held luxury exhibition in New Delhi called ‘The Good Life by LIFESPICE.in’ where they displayed statement furniture pieces, beautiful lamps, accessories and other décor essentials. Among their highlights is ‘The Luxe Collection by Bruzae,’ which boasts of custom hand-crafted furniture created from exotic and rare materials. This luxurious collection features stunning pieces created with materials like Swarovski crystals, gold leaf inlays, and pure teak. 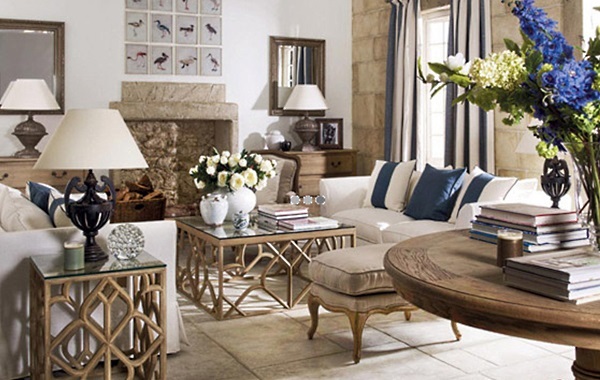 ‘The Designer Collection by Bruzae’ meanwhile offers a striking union of classic and contemporary accents. The focus on minimalism and precisely created design lines give an affluent and vibrant feel to this collection. Clear glass, polished steel and mango wood merge in a simple manner to create a minimalistic furniture line that would add elegance to any living space. MAC-Bruzae has a mega state-of-the-art showroom in Noida, which serves as a one-stop shop for all décor needs. The vertically integrated unit spreads over 80,000 square feet and holds a stunning repertoire of world-class products. Any product or item purchased from MAC-Bruzae may be delivered and installed in your home. Their team consists of more than 400 members whose expertise lies in creating for you the house of your dreams. Whether you need to refurbish your living space or just make a couple of changes to rejuvenate it, their dedicated personnel will assist you all the way. They will discuss your requirements and come up with suggestions to transform your spaces using a stunning mixture of beautiful materials, furnishings and fabrics. So whether you wish to get a complete home or room furnished or simply add dollops of style to your spaces with statement pieces and high-end furniture, do give MAC-Bruzae a try. Their store is located at A-14, Sector-80, Phase II, Noida, and are reachable at +91-9810532268, 0120-4041010. Tagged Decor, Homes, LifeSpice, The Good Life Luxury Exhibition, The Pad. Bookmark the permalink.